This holiday season, give yourself the gift of a last-minute getaway. Between the frenzy of shopping for presents, stuffing the turkey, and decking the halls, it’s easy to forget that December is supposed to be the most wonderful time of the year. If you’d rather hang all that up and head out for the Christmas holidays, Natural Habitat Adventures, suggest these last-minute getaways to extraordinary destinations. Enjoy a white Christmas like none other in the wintry wilds of the American West, trade the turkey baster for a kayak paddle in a far-flung Galapagos island paradise, or experience family drama of a different kind as you observe lion prides on the Serengeti Plains. Whatever the escape, it’s bound to be more relaxing than the frantic festivities at home. 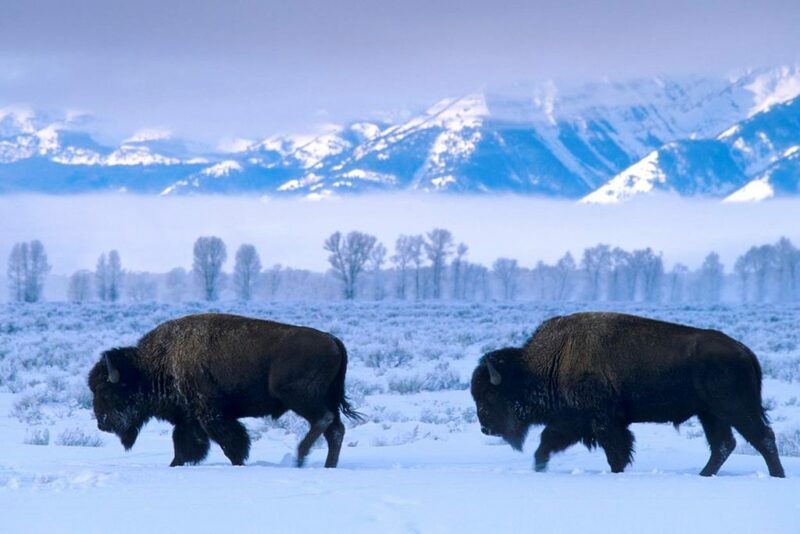 Often favored as a summertime spot, Yellowstone National Park becomes extra-special when it’s blanketed in snow. That’s partly why Nat Hab’s Yellowstone Wolf Quest, an eight-day wolf and wildlife expedition, only takes place between December and April. It’s also the best time to spot the charismatic Canis lupus without the crowds. Alongside a naturalist Expedition Leader (and wolf expert), travelers can track these elusive canines – along with pronghorn antelope, elk and bison – across the captivating expanse of Yellowstone’s Lamar Valley. Learn about wolf behavior and get photography tips over lunch with naturalists and photographers who have spent much of their lives among these complex creatures, and marvel at the majesty of Yellowstone’s most famous predator using high-powered spotting scopes. Steal away from snow to the sunny, secluded shores of the Galapagos, where sea lions, giant tortoises and iguanas roam. Island-hop between volcanic formations and black lava beaches on Nat Hab’s Galapagos Hiking & Kayaking Adventure, where paddling, snorkeling and swimming from Nemo III, a deluxe private catamaran, makes for some truly memorable quality time. Explore an otherworldly realm of lava caves, spatter cones and blue-footed boobies on guided walks through cacti forests, and visit secret lagoons where seals swim and sea lions lounge by the dozens on the beach. 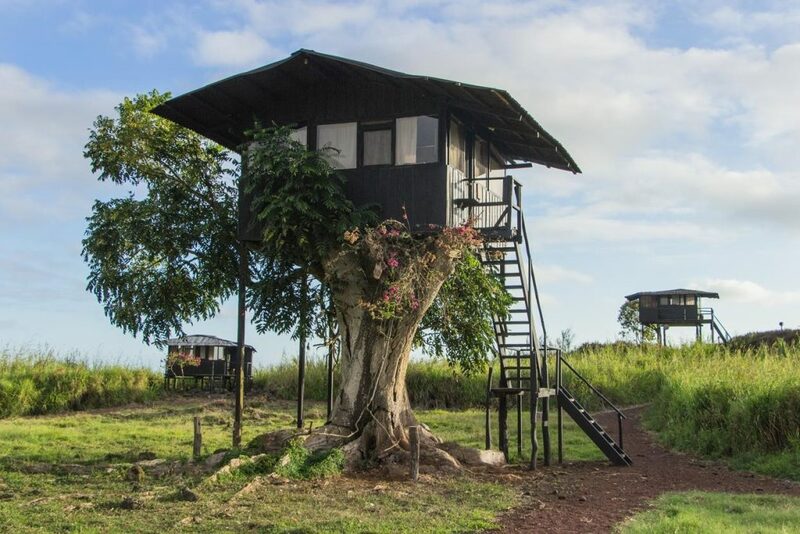 Later, take a brief intermission from life aboard Nemo III to celebrate a successful holiday escape with an overnight stay in a treehouse or safari-style tent cabin at Nat Hab’s exclusive Tortoise Camp, which serves up chef-prepared meals in a rustic highland setting. This year, break tradition in a big way by celebrating another iconic annual occurrence: The Great Tanzania Migration. Nat Hab’s vintage-style small-group safari adventure takes travelers into the very heart of the Serengeti Plains — and the world’s greatest ancient migration route. 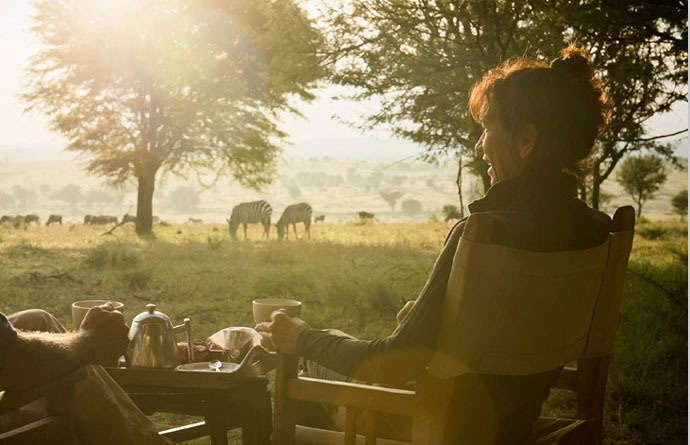 As guests in one of the largest familial gatherings on the planet, you’ll watch wildebeest, zebra and gazelle graze their way across the savannas, welcoming newborns into the fold and evading cheetahs, lions and jackals as they go. Sip cocktails in comfort at Nat Hab’s elegantly appointed plains camps, set out on sunrise game drives with naturalist Expedition Leaders, and bear witness to the wonder of nature at its most authentic under a boundless blue sky. For more information about Natural Habitat Adventures’ nature expeditions around the world, visit www.nathab.com.